Create an impressionistic painting with a variety of tools including your own fingers! This is a hands on, full contact workshop. Arrive ready to have fun and complete your masterpiece in this 3 hour class. Fun to paint and an interesting conversation piece. Students ages 16 and up of all skill levels. Class Fee is $55 members/$65 non-members plus Materials Fee of $14 which covers canvases, paint and the use of all tools provided by instructor. Register by March 22nd to reserve your space. Call the Arts Center @ 319 in Smithfield at 757-357-7707 to register. e-mail to info@smithfieldarts.org or use the sign-up button above. Members $80 for 3 sessions (total of 6 hours); non-members $90. Please register by Jan. 13. Payment must be received prior to first session. To sign up, call the Arts Center at (757) 357-7707 or send e-mail to info@smithfieldarts.com or click sign-up above. Register through "Contact Us" button above, call or visit. Learn all the amazing things your camera is capable of that you never knew were possible! We will cover basic camera mechanics, shooting modes, and flash. Photographers will learn the fundamentals of exposure and the relationship of shutter speed, f-stop, and ISO setting. White balance, metering modes, and depth of field will also be explained and demonstrated. Through lecture and hands-on photography, you will leave this class with the confidence to take control of your camera to create outstanding photographs. 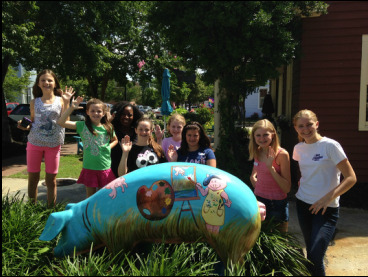 Several of our resident artists are also available to provide private instruction to fit your schedule and your goals. Several select media and all levels can be accommodated. Courses for youth can be tailored to include an ongoing introduction to art history/art genres where students will be given corresponding art projects to complete during class time. Also covered will be fundamental drawing principles and color theory. Accepting students ages 6 years through 14. ​Non-members pay an additional $10 registration fee. ​at 357-7707 or sign up on-line. Intermediate and advanced artists, ages 16 and up. This will be a fun & relaxed opportunity to paint, offering a lot of information on a variety of subjects from loose florals to realistic landscapes, family pets to birds. Students are welcome to bring their own references too. Fee is $200 for Isle of Wight Arts League Members/ $220 for non-members. Register by September 1st to reserve your space, maximum 12 students. Call the Arts Center @ 319 in Smithfield at 757-357-7707 to register. View his work at KenHobson.com or search for one of his YouTube videos. Resident artist Diane Z. Greenhalgh teaches fundamental drawing principles, painting and color theory for students ages 6 to 12 years of age. Fee is $25/day for members of the Isle of Wight Arts League, $35/day for non-members. Ongoing instruction with classes scheduled monthly, sign up for the dates that fit your schedule, we request advance registration each month as classes are posted. For more information or to register, call the Arts Center@319 at 757-357-7707 or send e-mail to info@smithfieldarts.org. A series of workshops designed to provide beginners an opportunity to explore tools and techniques needed in jewelry making. Each workshop is 2 hours and students ages 12 and up will work on a small project to reinforce their skills. All tools are provided and all supplies are included in the workshop fee. Reservations are required one week in advance of scheduled workshop. Includes a discussion of elements of design, introduction of tools and findings (beading wire, clasps, crimps and crimp covers) necessary to make jewelry. Students will string a bracelet and apply a clasp. Includes creating wire loops to hang pendants, charms and earrings using head pins and silver filled wire. Students will make 3 pairs of earrings. Explore the different types of seed beads and weaving techniques. Students will weave a bracelet using the reversible flat spiral stitch. Call the arts center at 757-357-7707 to register no later than one week before the workshop you want to take. You may also click on the “Contact Us” link above and enter your information. ​Arts Center@319 studio artist Stephanie Faleski will guide you to create the traditional doll pictured. Each doll takes about 30-45 minutes to complete. Advance registration recommended, but walk-ins will be accepted. All ages may participate. Children under age 12 must be assisted by a parent or other adult. Come Paint with Juliette in the Arts Center in Historic Downtown Smithfield. Everything you need, paint, canvas and brushes, is included for a fee of $40 per student ($50 non-members). Bring a friend for a fun creative time. Sign up no later than the Monday before class, just contact the Arts Center @ 319 by calling 357-7707 or click on "Contact Us" above. ​All materials and tools are provided for participants to custom design a colorful cuff bracelet with Juliette. Fee for members is $69 and for non-members $79. Contact the arts center by Wednesday afternoon to reserve your spot. Morning 9:30 to 11:30 am: learn to focus on value and speed. Session begins with an onsite demo followed by everyone painting. Break for lunch on your own then reconvene in classroom of the Arts Center @ 319 at 1 to 3 pm for tune-up on technique and completion from the morning’s paintings and photos. Meet in Arts Center classroom from 1 to 3pm to learn next steps in presentation of completed watercolor. Learn Ted’s technique for preparing a watercolor to be displayed without glass. Participants are encouraged to return to the park that morning on their own to put what they’ve learned into practice and bring work to class. Fee: $90 members, $100 for non-members. Contact the Arts Center @ 319 by calling 357-7707 or use the 'Contact Us' tab above. Instruction in Arts Center @ 319 classroom from still life set up. Students can take either one class or both. Emphasis on learning different techniques for dyeing fabric with low water tub dyeing, tie/shibori dyeing on cotton fabrics. Use stamps and stencils to direct print patterns on the fabric. Fee for each class is $45 per student ($55 non-members) plus $20 materials fee. All dyes, stamps, tools and basic cotton fabrics will be included, you can bring extra (natural) fabrics to overdye and/or experiment with. Both classes are in the Arts Center @ 319. Please call 357-7707 early to reserve your place in class. Palette Knives can take an ordinary painting from flat to fantastic! 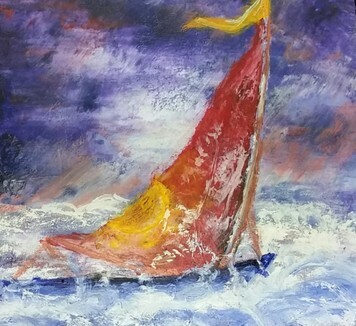 This two day class will offer a daily demonstration and instruction for the participant to create two paintings, one seascape and one landscape. 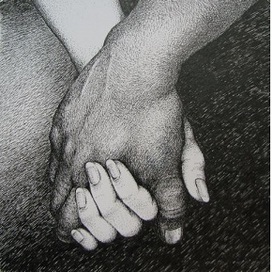 Instruction by Award winning International Artist Barbara Lively Mastaglio. Are you still trying to figure out your newfangled digital camera? Are there way too many buttons? Are you stuck in auto mode? Get out of auto and learn how to take control of your images. In this class you will learn to shoot in all the modes, including manual. Learn all the amazing things your camera is capable of that you never knew were possible! This class covers basic camera mechanics, the selection of a file type, shooting modes, and flash. Photographers will learn about the fundamentals of exposure and will begin to understand shutter speeds, f-stops, and ISO settings. White balance, metering modes, and depth of field will also be explained and demonstrated. You can expect to leave this class with a deeper understanding of the capabilities of your digital camera which will enable you utilize your camera to capture outstanding shots. A great class for students age 9 and up through adult with some basic drawing skills. Participants will learn about, then apply the elements of art and principles of design most commonly used in block printing to develop designs that will be transferred to soft cut printing blocks. Students will learn to properly and safely use Lino cutting tools and apply that knowledge to carving out their designs which they will then print. Students will leave with an edition of prints, as well as the tools, materials and knowledge to continue practicing and experimenting with block printing at home. Great class for parent and child/teen to enjoy together. ​Diane Milner teaches a one day class to make this gorgeous pendant. Express your love of nature or your family connections with a unique wire formed pendant. The Tree of Life has been used as a symbol of family since early man could draw in the sand. 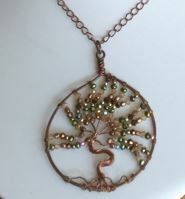 Class will show you how to bend copper wire into a sturdy outer ring, then twist thin wire to create a trunk and branches that can be embellished with beads, semi-precious stones, and charms for a glorious canopy of color. Cording and chain will be available to complete a necklace. Instruction will be here in the classroom. A fee of $65 includes all the supplies and equipment needed to complete one pendant. Classes are limited to 8 students and a 50% non-refundable deposit is required two weeks prior to class date. Ice Resin is a non-toxic jeweler’s grade two-part epoxy that’s self-doming, self-leveling, and will not fade or yellow over time. This unique medium allows layering of a small collection of raw materials to create a dimensional collage. Focal Pieces can be created in a variety of vessels; this class will use a mid-sized metal bezel. Students can personalize their bezel by incorporating a small personal photo, a piece of an earring, a saying, or a small charm. Unleash your imagination, then incorporate this medium into your art-making toolbox. Instruction will be here in the classroom. A fee of $65 includes all the supplies and equipment needed to complete one focal piece. A second bezel or earring set can be purchased for $19. Classes are limited to 8 students and a 50% non-refundable deposit is required two weeks prior to class date. Note: Finished pieces must cure overnight before moving. They can be wrapped as a gift or stored in a closed container after 72 hours. Participants will be guided through exploring several mediums including pen and ink, watercolors and colored pencil to gain hands-on experience in different ways mediums can be combined in a work of art. Students will have the opportunity to share ideas, learn techniques, and take home supplies that will allow them to continue in their exploration. Register by October 7th with the Arts Center @ 319 to reserve your space by calling 357-7707 or sign up on-line. Properly frame your own art work at a fraction of the cost. Students will be instructed on gallery accepted materials and will see a demonstration on artwork assembly and wall ready hanging. Fee: FREE for members of the Isle of Wight Arts League; $10 for non-members. Students to bring note-taking materials. Register early to reserve your space by calling 357-7707 to reach the Arts Center @319 or sign up on-line. A fun and creative class using cold wax medium added to oil paint to explore mixing materials, mediums and styles. The method achieves abstract or loose realism. Students will create artwork on three boards over two- three hour sessions. Students from earlier sessions will learn new techniques and methods. Fee: $120 for members of the Isle of Wight Arts League, $130 for non-members; plus a $20 Materials Fee that includes cold wax medium, a Catalyst© tool, three boards to paint on and various solvents. Students to bring their own oil paints, brushes and items on suggested Materials List. Register by October 16th to reserve your space by calling 357-7707 to reach the Arts Center @ 319 or sign up on-line. A great class for students age 9 and up with some basic drawing skills. Participants will learn about, then apply the elements of art and principles of design most commonly used in block printing to develop designs that will be transferred to soft cut printing blocks. Students will learn to properly and safely use Lino cutting tools and apply that knowledge to carving out their designs which they will then print. Students will leave with an edition of prints, as well as the tools, materials and knowledge to continue practicing and experimenting with block printing at home. Create an original work in a time-honored medium. Learn to render texture and value using stipple, cross-hatch and other techniques. For more information or to register, call the Arts Center@319 at 357-7707 or sign up on-line. Fee: Members $65 for 2 sessions (total of 4 hours); non-members $75. All materials provided. Registration deadline is October 29 and class fee must be paid by this date. This class is for those who want to take their photography to the next level. Beginning with a brief review of basics, this class quickly moves to the details of shooting modes, perspective, composition, exposure, depth of field, creative blur, capture mode (Raw or Jpeg) and an overview of the digital darkroom. This is a two session course with a photo shooting assignment between the first and second sessions. Register by November 7th with the Arts Center @ 319 to reserve your space by calling 357-7707 or sign up on-line. ​Diane Milner will be setting a date soon for a one day class to make this gorgeous pendant. Course will include an ongoing introduction to art history/art genres where students will be given corresponding art projects to complete during class time. Also covered will be fundamental drawing principles and color theory. Accepting students ages 5 to 12 years of age. Diane Zaugrah Greenhalgh and Jessi Neeley will share duties as instructors. The class will be offered at 10 am to Noon or from 2 to 4 pm based on the preference of the most students registered in advance. The fee is $25 per day with all materials included.